As a teen I have struggled with acne the dermatologist I saw at the time prescribed Retina A which was very effective. Now that I am well over 40 I have become extremely serious with really taking care of my skin. In my late 30s I started using sunscreen more frequently and insist on using a facial moisturizer with sunscreen. Yes, as an AFRICAN-AMERICAN woman I wear sunscreen. Our skin does have melanin however it is susceptible to sun damage(therefore skin cancer) as well. Don’t BELIEVE THE HYPE, if you think otherwise! I say PRESERVE it NOW OR pay for it LATER! with sun damaged skin and premature aging. Use a mild facial cleanser(NO SOAP except the CETAPHIL cleansing bar) to remove remaining makeup and dirt. Soap clogs my pores and leaves a residue. Use a toner(astringent) with salicylic acid to control and minimize my breakouts. This also helps to remove makeup and remaining dirt. Yes I am still experiencing acne at 46. 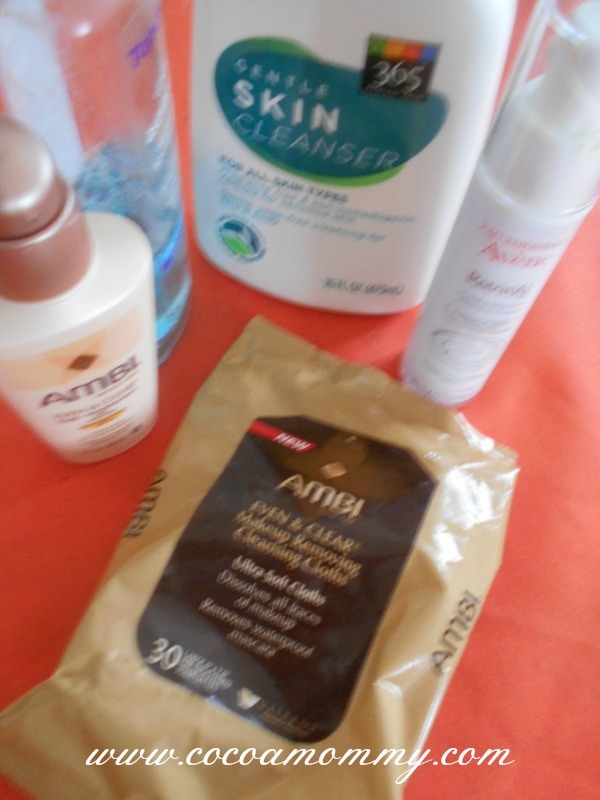 Apply moisturizer with sunscreen, I love the Ambi brand because it really does moisturize my skin and the plus is it has sunscreen. 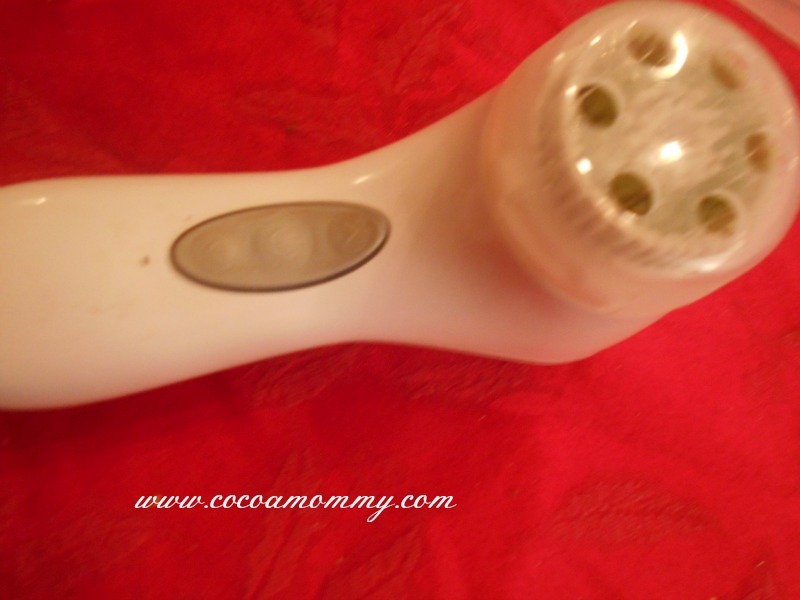 *Also I use my Clarisonic Mia 2 x a week for exfoliation ( daily use is too much for my skin). Just make sure you buy the brush heads for your specific skin type. Also change the heads every 3 months. It is more cost effective to buy a dual pack of the brush heads. Wash makeup brushes weekly with shampoo. Lay flat to dry. I learned a valueable lesson from a makeup artist at MAC, do not soak brushes. I previously soaked them in Dawn and it loosened my brush from the base. Also toss cosmetics according to the shelf life of that product and don’t share any cosmetics. After having a stye I no longer use mascara(not sure if this was the culprit) but I have not used in 4 months. Remove make up with a make up remover cloths. Use a toner(astringent) with salicylic acid to control and minimize my breakouts. This also helps to remove any makeup or dirt left on face. Oh and yes I am still experiencing acne at 46. My aesthetician suggested I try a Retinoid product to help with breakouts, uneven skin tone and anti-aging. She suggested a product by Avene Retrinal 0.1 Intensive Creme. I only use this at night without my moisturizer. I apply a pearl size for my face and neck. A little goes a long way. 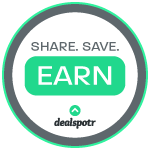 ( I have used for 3 weeks and I can see improvement in my skin tone and no continuous breakouts. If you want to order any of the products mentioned here, check out my Amazon Store, SKINCARE. Also I love to support womenpreneurs so if you are looking for lip liners, lip gloss and lipstick please check out YARIMAKEUPCHIC. I just placed my first order!!!!! I decided to cut my hair in 2003 and wore it “natural” until 2008 when I decided to grow it out. I grew it out and permed it and loved the length. The stylist at the time decided to cut all of my new growth because she said it was damaged. I was beyond pissed. In 2011 I decided to grow out again and stopped dying and texturizing because it was really damaging my hair. Now that I was back to work and really had no time in the morning for hair I decided to cut it again. In 2013 I decided again to grow it out and when I decided to start working out I ran out of ideas for my hair. The weekly sweating and my hair was an issue. I decided to cut it again and go back to a short natural cut. I resorted to coloring my hair using boxed colors to save on the salon cost. After watching a natural girl YouTube video and she mentioned for great color visit an Aveda salon. Well I was in luck because I have one right up the road. After scheduling a consultation, the colorist offered two options. I could either bleach my natural color and then add the desired color$100 per hour to bleach + addition of color start at $48, yikes sticker shock) or lighten my natural color at each 6 week visit. Her recommendation is to lighten my color at each visit. The double process could be very drying to my hair. 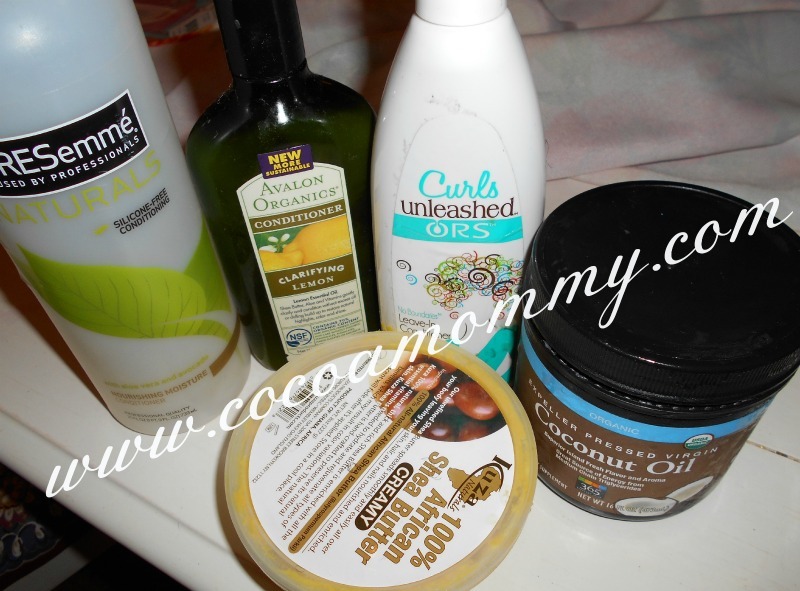 Natural hair requires experimenting with a variety of products. I have lost count. Last night I discovered another method of applying oil before shampooing and this is call a pre-poo. Also I am conditioning after shampooing but this time I added a protein conditioner with a cap to seal in moisture. The holiday break gave me time to do a lot of research on natural hair care. My first step was eliminating box color and actually investing in salon color. After searching various YouTube videos on natural hair I found one who suggested going to an Aveda salon. Well lucky for me there is a salon and spa less than a mile away. Hair color in a box is not the best quality and I think color is all in the application technique. The colorist sectioned my natural tresses and evenly applied color. I never did this with box color because I thought sectioning only applied to those with long hair. I think one of the myth is natural hair requires no maintenance and I was so wrong. 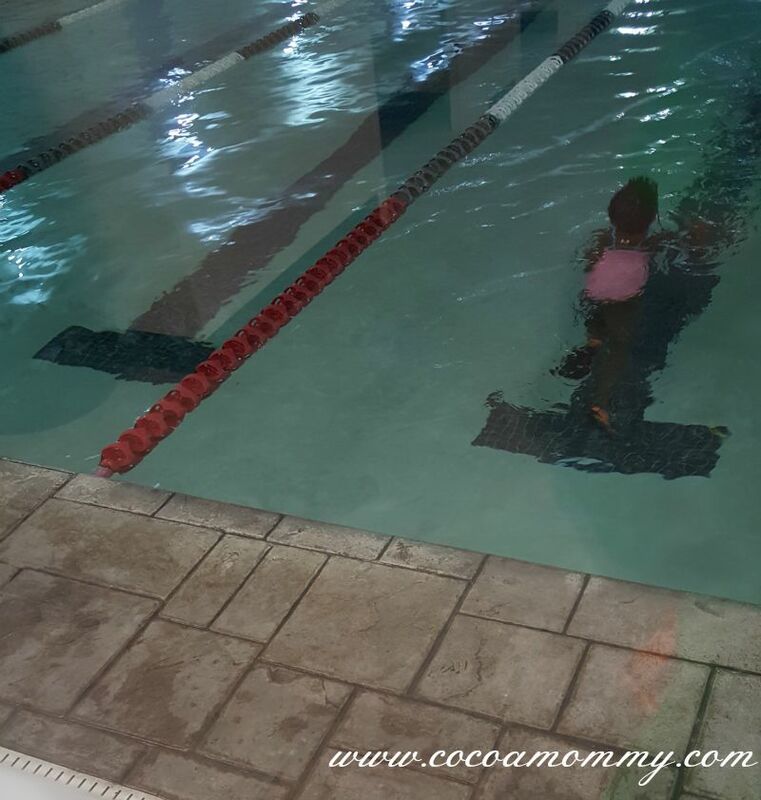 In the past weeks, I have learned my share of natural hair care daily and weekly regimens. I realize with a chemical treatment I have to show extra TLC for my natural tresses. I have an arsenal of supplies as I have learned you must experiment with a few products until you find the right fit for your hair. Another lesson is learning my hair type, I believe my hair lies between 4a-4c. 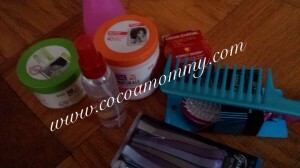 My daily regimen was to just wet my hair and apply Tresemme conditioner and EcoStyle gel. Wrong, wrong, wrong. I also assumed once a week shampooing with sulfate free shampoo and using the Tresemme conditioner as a leave in conditioner was good enough. Wrong, Wrong, Wrong. It took a few weeks and multiple products for me to find products that worked for my hair type. 1) Natural hair needs daily MOISTURE, LOTS AND LOTS OF MOISTURE depending on your hair type. My hair type needs lots of moisture. 2)Natural hair needs a great balance of MOISTURE AND PROTEIN. 3)Natural hair needs weekly deep conditioning especially when it is color treated. 4)Natural hair does not require shampooing every week or at least this is a personal preference. Hence the term, cowash-washing with conditioner. 5)Pre-poo defined, preparing the hair for shampooing, either with a sulfate free/clarifying shampoo or a sulfate free, silicone free moisturizing conditioner. 7) Purchase a Denman Brush and a Detangling comb, since I still have a TWA (teeny weeny afro) I purchased these for my daughter. 9)Experiment with products, try to buy sample sizes to minimize your out of pocket cost. My go to site for my products is Amazon.com . This allows me to make use of my Prime membership with free 2 day shipping on items that qualify for Prime shipping. I love Mo’s(of MoKnowsHair) explanations on each of the products reviewed , she also has great YouTube video tutorials. Also I love the fact that her videos offer different options depending on your hair type. I realized after my research on CurlMart.com my hair type is 4a. The Au Naturale line smells sooooo good and blends well with damp hair. It is a blend of mango and bamboo milk. I try to do this every 4 days. Pre-poo, apply Shea Moisture Shea Butter Hair Growth serum or olive oil, with plastic cap for 30 minutes. Rinse with warm water. Next cowash. Spritz with water, olive oil, Dark & Lovely Curl Defining Glaze and wrap with a silk scarf, every other night. 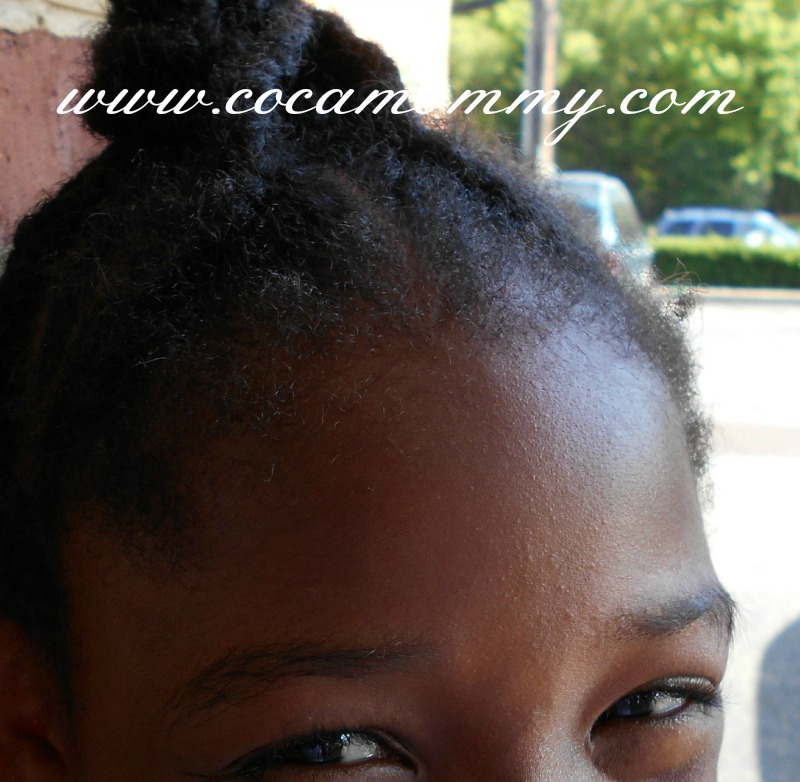 Cotton or Wool is not kind to natural hair. I now have three products within the Au Naturale line, 10 in 1 gelee, Curl Enhancing Glaze and Hair Butter. Review shortly on all three products. Oh, I almost forgot I received my Aphogee Curlirific Leave In Conditioner, I tried for the first time after my weekly cowash. In addition to my hair treatments I am using this regimen for my 8yo hair as well. In order to enhance her hair growth I am going to commit to 2 strand twists, which gives a lot of flexibility either for a twist out, pinned up do, or just wearing loose with a head band. Next, a tapered cut so I have more of a style with my new curly look..I am doing a chronicle of my hair growth so I will share shortly. Some items to add to my hair tool list is a steamer, a diffusing blow dryer and a heated cap for both of us. 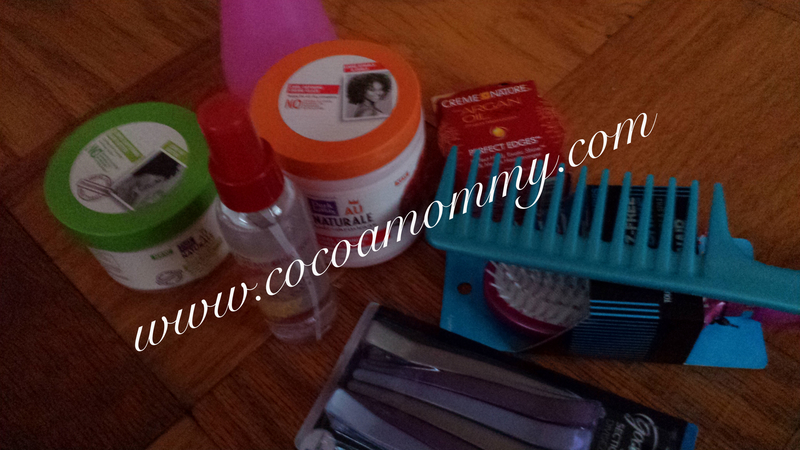 MoKnowsHair has a list of her top items for 2014. This helps a lot on what to buy and brands to buy. Keep in mind too, you are what you eat! 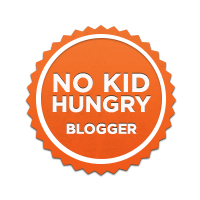 I am really trying to either eat or drink my veggies and fruit using my Nutribullet. Just remember patience is a virtue and it takes a lot of patience to grow out your natural hair….